Murali Sitaram was named the VP/GM of Cisco’s Collaboration Software Group responsible for Cisco WebEx, Cisco Jabber, and Cisco Quad last April. He is working to take a company that’s been associated with physical networking, and move it more decisively toward social networking. Murali currently sits on Cisco’s Collaboration Architecture Board, Communications and Collaboration board and the Customer Collaboration Advisory Board. He joined Cisco in 2007, and has over 23 years of leadership experience in software engineering and business management. Murali holds two bachelor’s degrees from the University of Bombay: one in physics, and the other in computer engineering and science. He also has a master’s degree in computer science from Case Western Reserve University in Ohio. 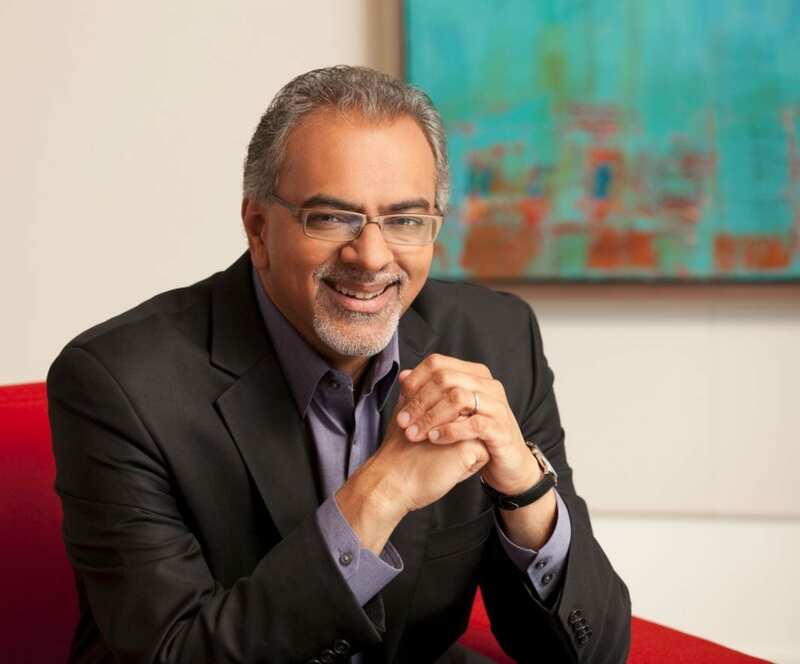 Prior to Cisco, Murali held various senior management positions in software development and management at companies such as Narus, Aspect Communications, Avaya, and Quintus. DM: How do you see social collaboration fundamentally altering the adoption and use of communications technologies? MS: With advanced collaboration technologies, like videoconferencing and enterprise social software, companies are rethinking the way they traditionally have done business. In today’s post-PC era, employees no longer are tied to their desk or required to sit in a conference room to do their jobs. Easier access to resources and expertise, allowing employees to reach out to a large number of relevant co-workers, or even people outside the organization, and bring them into a searchable virtual discussion around a specific problem or challenge. Contextual, real-time communications through integration with voice, IM with presence, conferencing and video. Time and resource savings that drive better utilization of existing systems through pre-integrations with common IT infrastructure platforms. Social networking with less risk though built-in, rules-based policy management for sensitive content behind the firewall. It all comes down to relevance. If we can deliver information, knowledge and expertise at the appropriate time to each individual we can make them more productive. If we can ensure that people are in the “know” without having to set explicit time aside to become “smarter” we can drive innovation. Social technologies, combined with real-time communications technologies, enable this perfect union. As an example, imagine a manager scans an activity stream and notices a status message from a colleague indicating a supply chain problem. The manager can hover over the individual’s name and be presented with click-to-call, click-to-IM, or click-to-conference options. They can immediately connect to discuss the problem and options; they can search for experts and bring them into a rapid response team; they can create a community space to share their findings; and they can rapidly develop an action plan to mitigate any risks from this supply chain problem. DM: Cisco, and some of its competitors, are using the term “people-centric collaboration”–what exactly does this mean and how is Cisco’s approach unique? MS: Over the last two or three decades we have been living in the era of the “document” or the text embodied in “email”. All of our legacy collaboration tools have evolved over the years to deliver the best experience based on this “content” centric paradigm. However, if you think about it, people don’t really collaborate or work in that way. We have conversations, we share in communities, we attend meetings, we make sense of things by networking with colleagues–documents have their role, but we make decisions on how we want to deliver products and services or innovate to grow the business by collaborating with each other. These interactions and activities are inherently people centric–especially in the modern world. My view is that the previous generation of tools have outlived their utility and we must rethink how people work. In addition, our world today is inherently global. You may be working with people that you might only know peripherally or indeed not at all. To make sense of these interactions, we must put people in the center of the conversation to deliver the most productive results. Old techniques will simply not do anymore. DM: So “people centric” refers to the employees, not the customer? MS: Right now, Quad is focused on internal deployments so “people” today means the employee. However, there’s nothing inherent in the design of Quad to preclude external, customer-facing deployments. We have had this request from customers and it’s something you will see from us in the future. Stay tuned! DM: You said “the previous generation of tools have outlived their utility,” but I don’t see email going away anytime soon, do you? MS: Actually, email is a form of social networking. So email itself is a social networking tool, as are discussion forums, and other collaboration tools that mediate people’s interactions and connections to one another. I think what people are getting at is how we shift awareness from email, which dominates the way we collaborate today, to a new way of working that reflects some of the dynamics we see out on the public Internet. You’re right, email is not going away anytime soon. Perhaps it will “age out” over many years as part of the generational shifts underway within organizations. My opinion is that email will become a “notification” engine–a place to be informed about happenings in social collaboration tools. But it’s also not really the right question. The challenge is more along the lines of how we get email back to what it does well–transitory conversations–and shift those workloads to a better workspace for people to collaborate. Integration with e-mail is critical. We need to provide pathways for people to shift their collaboration patterns from e-mail to a platform like Quad. We need to provide more value and flexibility than what people get out of email today. Quad Post, for example, is our alternative to collaborating via email. But these new approaches like Quad Posts will take time to become the de facto way in which people collaborate. DM: Many of Cisco’s products, including routers, video, and telephony work best with Cisco products–however Quad is working very hard to embrace competitive offerings. Why is Quad different? MS: The traditional workplace is disappearing. Employees are more mobile than ever before. People are also collaborating across geographic locations to a greater degree, so work is conducted in a more virtual and time-shifted manner. More recently, people are realizing that there is a social element they can leverage that enables people to network professionally and participate in communities to share experiences. So here at Cisco, we think not in terms of a “workplace” but a “workspace” with social, visual, mobile and virtual foundations. We designed Quad as that workspace where individuals, teams, and communities come together to connect, share, learn and collaborate. We realize that Quad needs to fit into the current landscape of tools and capabilities while providing a fundamentally new way of working. For this reason, we built Quad on an open and extensible architecture with pre-built integrations that facilitate integration with common IT infrastructure and services. Quad is an enterprise collaboration platform with standards-based interfaces that extend the platform’s functionality to handle a variety of business and application use case scenarios. Collaboration is often an integral aspect of business processes, innovation initiatives, employee life-cycle management and community-building efforts to improve employee engagement. Frequently, this requires collaboration technologies to be integrated within a variety of different business systems. Quad’s open interfaces allow organizations to plug into existing technology investments such as content management systems like Microsoft SharePoint and EMC’s Documentum and make the platform as robust as possible. Cisco has always had a long history of standards and interoperability. In fact, going back in our history we worked hard at normalizing all forms of connectivity to an IP-based platform. Next we led the industry in connecting our data and voice networks through standards. We are doing the same with Quad. We want our customers to leverage the investments they have made in enabling this new form of connected organization. DM: What is meant by employee life-cycle management? MS: When employees join an organization, they typically go through different phases as they advance their careers. When they are first hired, there is an on-boarding process where the organization orientates the employee. Over time, the employee might be promoted to a new role, or transferred into a new position. Employees also develop a wealth of experience over time that can lead to new skills that management might want to leverage in some way. As employees conclude their careers and retire, organizations want to ensure that this storehouse of knowledge is transferred to the next generation of worker. For new hires, they could use a platform like Quad to connect with mentors, find senior staff and follow them online to gain a better understanding of how their careers might someday reach that point. When employees pursue an open posting to a new area, they can use a platform like Quad to get a better sense of what it might feel like to work in this new organization. Quad, along with the right mix of HR policies and management practices, helps organizations to discover and retain talent, build up and scale out employee expertise, and create a more participatory culture through open communities. Internally at Cisco, we use Quad to engage new employees to the company, and also as employees take new positions. I often wonder how we did it before we had a tool like Quad! DM: Are tools for unified communications, collaboration/conferencing, and social networking converging faster on premises or in the cloud? MS: It might appear that integration is happening faster in the cloud because often, the complexity of an organization’s IT environment can slow down the introduction and integration of technologies. In the cloud, the convergence work is shifted to the cloud provider and once it’s available, it’s there for everyone all at once to consume. However, some of our best customers are indeed deploying these converged technologies on premise. The value of these platforms is fully realized when we integrate social and communications into common shared infrastructure and then contextually integrate into specific business processes like CRM, ERP, HR, etc. Some customers are pushing us to innovate in the cloud as it can bring new capabilities with the least investment. Depending on the type and size of business I see need for both cloud and on-premises technologies for social collaboration and communication tools. DM: Social networking tools like Quad are designed to pick up where email and telephones leave off. But Email and Telephones are universally interoperable. How will social collaboration tools evolve to allow multi-company collaboration? MS: Standards are emerging that can help address some of these needs. OpenSocial [standards] might evolve to the point where you can take a Quad “gadget” from Company ABC and have it included in the social collaboration platform of Company XYZ. The activity streams standard might mature to the point where you could aggregate events across company boundaries. We expect standards to emerge that would allow a social graph to be federated externally as well. However, the social collaboration space is still “young”. Cisco will continue to work hard to ensure that we are open and will invest to create and drive standards of interconnectivity. Yes email and telephony are interoperable, we need to get all our collaboration tools to be seamless even as we up the capability and complexity of conversation. Last and most important, social technologies will need to integrate with real-time and universal technologies like voice, IM/Presence, and email to drive the most benefits for an organization–that is where Cisco Quad is leading the industry. DM: What standards efforts is Cisco involved with regarding social networking? MS: We are supporting a number of social networking standards: Open Social; Bosh protocol for IM; XMPP for both IM and our internal notification service; 2 Semantic ontologies: FOAF (Friend of a Friend), SIOC (Semantically Interlinked Online Communities); JSR 168 & 286 (the standards for portlets to be placed on a page); WSRP (Web Services for Remote Portlets); SIP (for Cisco Web Communicator). DM: I look at the misuse and abuse of tried and true e-mail, particularly reply-all, and wonder how you train/educate appropriate use of these new social tools? MS: Rolling out a social software platform requires unique considerations and focus in several areas outside of technology. There is no clear blueprint for success and each organization needs a different balance of focus. It is critical that organizations consider the impact that social software will have on their business and process workflows and clearly articulate these goals to their workforce. Organizations must evaluate their culture, process and technology to determine how to phase in a social platform’s collaboration features and how to tailor them to the various groups within the organization. First: Governance, change management, user experience, adoption and community management practices (evangelists, champions) are key. Second: Prioritization is important. Often, organizations focus on simple applications like communities to help orientate the workforce. Ideation/innovation is perhaps another area where people initially place bets. Once there is a level of familiarity with social tools, organizations typically move onto more business-specific use. Note: monetary incentives do not work. Recognition works better. Also–don’t over-focus just on process. You need to promote the community and collegial aspects in addition to a more structured work context. DM: Can you give examples of how a product like Quad can decrease human latency? MS: Quad includes a capability we call “Post”. Think of Post like an e-mail message that remains in one place. It’s a simple editor people use to create, share and collaborate around a piece of content. The great thing about the Quad Post is that unlike email, it remains in one place. Post is part of Quad’s unified content model. It shifts people away from thinking about what tool to use. You just think about how you want to share information and collaborate. So how does this reduce human latency? How much time to we waste with e-mail–we forward it along, we get into endless e-mail threads, we have separate, fragmented conversations. With Quad Post, you anchor the content to a single location, you create a team or community around the Post, people can leverage their networks to invite peers to contribute.